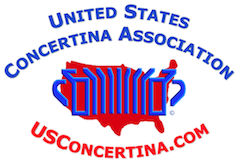 The United States Concertina Association (“USCA”) was founded in 2010 to provide fellow musicians with a virtual fraternal organization that is truly nationwide, and to provide a means to give helpful assistance to local concertina clubs and individual musicians as well. While the primary musical instrument supported by the USCA is the chemnitzer concertina, the association also recognizes the importance of supporting all of the other related musical instruments from the bellows-driven, free-reed family. 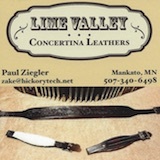 Improve the fellowship and support that is shared within the concertina musician community across the entire United States.